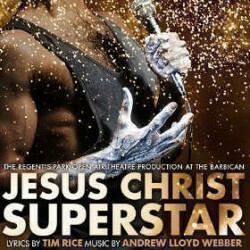 The awesome musical Jesus Christ Superstar follows the last seven days in the life of Jesus. It's a feast of well-known show tunes including I Don’t Know How to Love Him, Gethsemane, and Superstar itself. And it's back in the West End for 2019, fully expected to pack the house to the rafters like it always does. One poll voted The Barbican London’s ugliest building. Ugly or not, it certainly has presence. It’s an enormous, block-like masterpiece with its roots in Brutalist architecture, but it’s slowly settling into its surroundings and these days The Barbican Centre blends into the everyday London landscape. Because it’s modern and purpose built, the facilities are excellent and the indoor spaces completely fit for purpose. Just sixty years ago, the land the Barbican stands on was an abandoned brownfield site that hadn’t been touched since it was flattened by bombs in the Second World War. It was a serious eyesore in an area that was once home to William Shakespeare, Thomas More and Ben Johnson. Built in 1982, The Barbican Centre is still Europe’s biggest performing arts centre. It hosts classical and contemporary music, theatre, film and art exhibitions and there’s also a fantastic library, three restaurants and a smart conservatory. This is the home of the prestigious London and BBC Symphony Orchestras and the theatre itself is an integral part of the centre. The auditorium is designed with seats forming an intimate semi-hexagon which hugs the rectangular stage, with no boxes but extra forward-facing seats for excellent visibility. The décor is currently a symphony in coffee and chestnut, which gives it a cosy feel despite the auditorium’s impressive size. No gold leaf or carving… but a superb contemporary theatre experience in comfort ad style. Now Grade Two listed, the Centre took a long eleven years to build, finally opening to a mixed reception spanning delight, horror and everything in between. Its looks were controversial and any felt it looked out of date before it was even finished. In the 1990s steps were taken to soften its looks, with statues and decorations. And in the 2000s the addition of bold signs and painted lines made it easier to people to find their way around. The Centre was the official London home of the prestigious Royal Shakespeare Company from ’82 to 2002. Their departure made way for year-round international productions. In 2007 the entire Centre enjoyed a £35 million redesign to celebrate 25 years on the site. 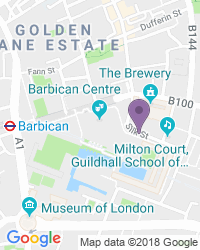 The entrance to the Silk Street Theatre is via the main Barbican Centre entrance in Silk Street. If you’ve booked tickets for a Guildhall School production, you should use the Guildhall School entrance on Silk Street. Before 2002, The Royal Shakespeare Company dominated the Barbican Theatre. Since then it has hosted any number of top shows, including the smash hit vintage musical South Pacific. The main Silk Street entrance has a ramp. Lifts provide access to every level at the Barbican Theatre, and all Barbican venues have seating for wheelchair users. We’re a popular destination for a wide variety of seat types and prices, with excellent availability on the full range of Barbican Theatre tickets.